Why look for new construction when this barely lived in, less than two year old home is available for immediate delivery! This home boasts more upgrades than most builders' model homes. Only work relocation makes this home available. The owner spent 10+ months custom designing the perfect floor plan and upgrades in this stunning LandMark Builders Craftsman home. She didn't miss a thing! It started with one of the best lots in the development: plenty of open space between her and neighbors and a super private backyard backing to trees and well into the trees a small creek. 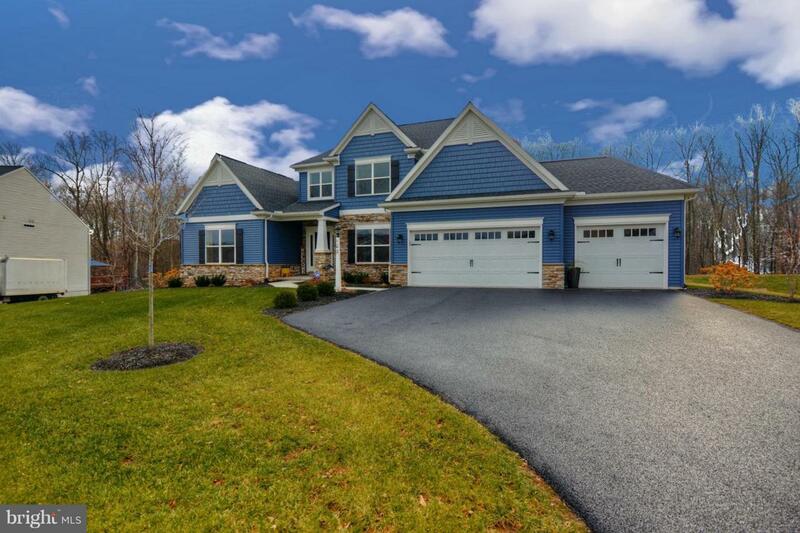 She picked a craftsman style home beautifully appointed on the outside with upgrades craftsman pillars, 3 car garage, additional exterior lighting including recessed lights in the soffits and additional landscaping. When you enter this home, be amazed by the two story foyer and to your left is her study. To your right is the elegant formal dining room with upgraded coffered ceiling. 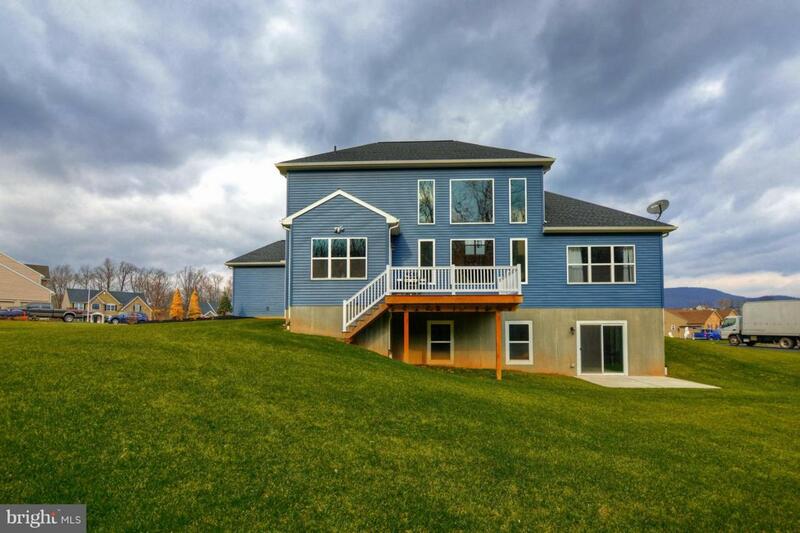 Straight ahead is the two story family room with customized wall of windows. Even the beautiful gas fireplace was elevated to sit higher than standard fireplaces for a better ambiance. The family room opens to the breath~taking gourmet kitchen with adjacent breakfast room. This kitchen was painstakingly re~designed and perfected to include 10K+ in Cambria Quartz Counters, a 6 foot long island instead of the standard 4 foot long and a four foot width added with extra support instead of the standard 2 foot width. The owner also upgraded all the stainless steel appliances! 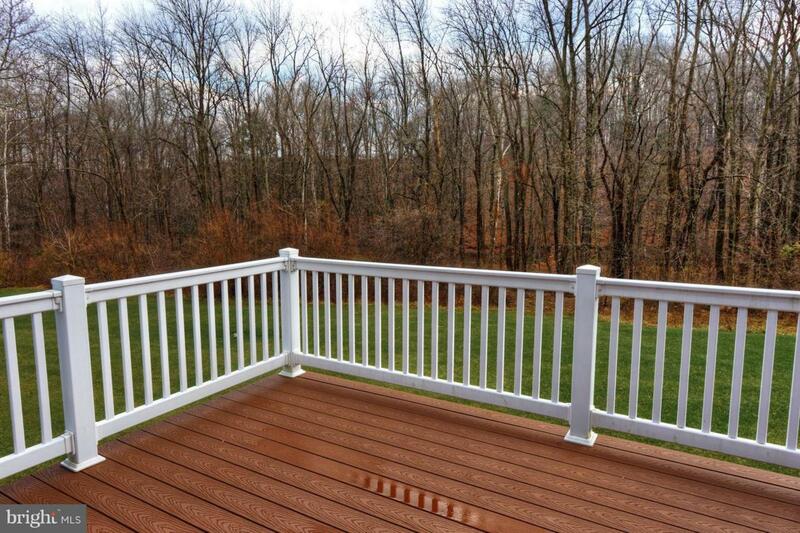 The breakfast room leads out to the composite deck to enjoy warmer weather! The owner specifically searched for and had Natural Acacia Hardwood Floors added throughout the main living areas. All the fabulous upgraded lighting throughout the home was also chosen by the owner after purchase. The Masterbedroom suite is also located on the first floor. In addition to a spacious bedroom there is a large walk~in closet and beautifully appointed master bathroom with oversized shower. The laundry room is also near the master suite for convenience. A powder room and mudroom area complete the first floor. The second floors showcases three additional large bedrooms ~ two with walk~in closets, and a hall bath. There is a great view from the landing over the Family room and Kitchen areas. The basement is not only a walk out with sliding doors but the owner added to additional windows which was a hefty upgrade. She also had the finish a third full bath downstairs in anticipation of finishing the basement. She really left no detail out! 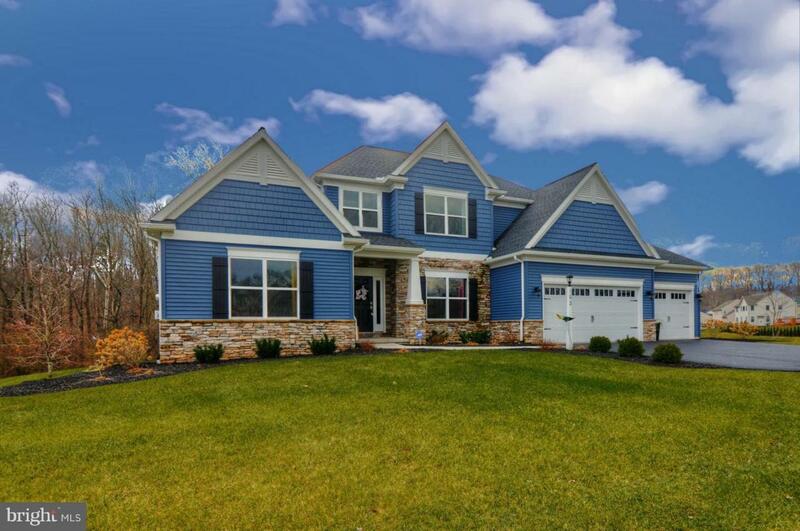 This home shows like a model home for new construction and is ready to just move right in! Conveniently located minutes to major routes, schools and shopping.